Young drivers are real teenagers who are obsessed and addicted to their devices. They have FOMO (fear of missing out) and want to let everyone know what they are doing. People have died using a SnapChat feature that shows just how fast you are going. When you are young (or old) pushing your car to the limits speed wise, and not paying attention, because you want attention, is putting you and the other people on the road in unnecessary danger. 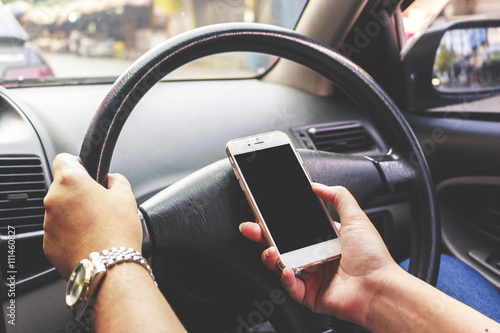 Rogers has a campaign called It Can Wait which states that distracted driving is never ok. Just because only you are in the car doesn’t mean checking your messages is okay, because there are other people outside of your bubble. Watch some of the videos, they are disturbing and moving, and should be enough to let teens know to put the phone away until they reach their destination, and if they have to check it, pull over because that could save their lives and someone else’s as well. You are a new driver; you know how to drive, but there is so much more to it. It involves reading people and knowing what their moves are, looking ahead of the car in front of you to see what is happening, knowing your blind spots and that a motorcycle could be right next to you and you could mostly run them over, etc., etc. Those who have been on the roads longer can anticipate the roads better. So when you are a new driver, it’s harder to do so. So slow down and learn your car and what you are doing as well as knowing your limits. Some people don’t drive in the snow because they don’t like to. So as a young driver it’s important to learn your lessons at lower speeds. You don’t know everything, make sure to learn through experience, but don’t also know how to adjust. That is one of the most valuable lessons. We didn’t all become good drivers the moment we got behind the wheel. The more driving we do, the better we are. Seriously this might seem like a why would you do this to me kind of hazard but it is. It’s a distraction. Other people are a distraction as well as the addition of peer pressure. Teens don’t understand that you have to wait to show the driver something or they will encourage you to go faster, etc. But they are an additional pressure in your ride that could cause an accident. Many states have laws as to how many passengers can be in a car at once based on the driver and their experience and time on the road. Learn them, and you can prevent some of the accidents that happen. Being sleepy is almost the same as being drunk. Both of them are terrible, and as a teen, you think you can do anything, tiredness is damned. So instead, if you are tired, take a nap and know that you are better off for it than trying to drive tired. People have nodded off at the wheel and caused accidents and hurt others, so just make sure that you as a teen are getting rest and not driving while exhausted. I’ve pulled over more than once (as someone who has been driving for over 15 years) because I knew it wasn’t safe. So get the rest and then keep going. Driving as a new driver can be scary, you have to know so much but yet the only way to get it is through experience. Make sure to be safe at all times and consider your surroundings. Anything that you want to do while driving can wait, unless it’s driving itself. Focus on the road and be safe. Guide of training your kid to be a runner. Are they ready? Online Marketing – Facebook or Google?